DPA’s d:fine™ Headset Microphones are providing schools with the toughness and audio quality they demand for their productions. Children are lovely, but they do have a habit of breaking things, which is why any piece of equipment used in a school environment needs to be very tough. According to Matthew Talks, founder of educational equipment specialists Podboffin, DPA’s versatile d:fine™ Headset Microphones certainly fit the bill because they are virtually unbreakable, even in the hands of kids. "Usually, radio mics in schools have a short lifespan due to cables breaking," Talks says. "However, I have yet to use the spare DPA mics that I bought recently because the first set I acquired are still going strong. 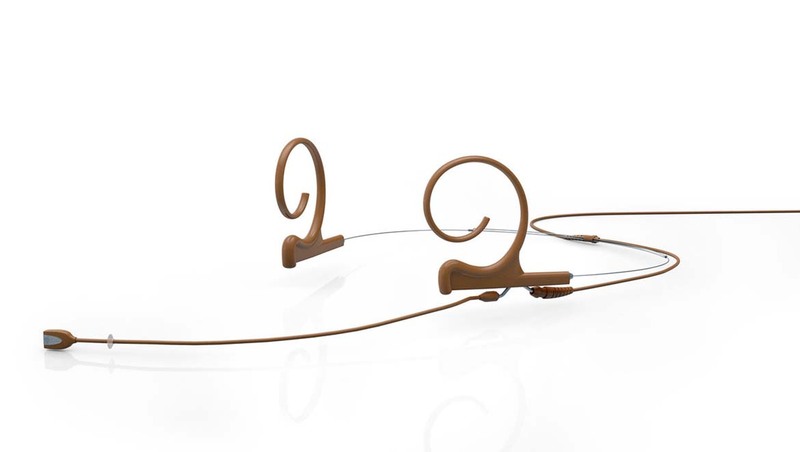 Even if the cable were to break, the modular construction of DPA’s d:fine™ Headset Microphones means I can replace just the cable at a fraction of the cost of the initial outlay." Established in 2010, Podboffin provides recording, sound installation and live production services to schools and also offers advice on choosing the right audio equipment, setting it up and operating it. The company recently invested in a dozen omnidirectional single-ear DPA d:fine™ Headset Microphones, supplied by DPA's UK distributor Sound Network, which are now being hired out to UK schools. "I was familiar with DPA microphones having previously sub-hired d:fine™ units, so I decided to purchase my own," Talks says. "In schools, the number one requirement is always for radio mics because the biggest sound problem school productions have is hearing students singing over a live band. The d:fine™ Headset Microphones completely solve this because I can get the capsule in really close to the singer with no plosive issues and with crystal clear sound." Talks admits that, in the educational market, cost is inevitably an issue. "However, once schools hear the difference that pro mics make when compared to budget mics - and see how little effort is required to get superb results - they never go back," he says. "I have yet to hire out d:fine™ mics and not get repeat business." DPA’s popular d:fine™ Headset Microphones are specifically designed for actors, public speakers, broadcast hosts, musicians and singers who want a lightweight, easy to wear headset microphone that leave them free to move around without compromising vocal quality. With their impressive gain before feedback and very stable construction, these unobtrusive microphones provide a discreet solution that can hardly be seen on the face. The range, which is renowned for its audio accuracy, is available in both directional and omnidirectional options and in single- or dual-ear designs with a choice of three lengths of microphone booms. They are also compatible with just about any wireless system. Talks envisages his DPA d:fine™ Headset Microphones will be hired by "any school with a good business model for school productions”. Schools, he believes, can justify an increase in ticket prices and advertising when the production is good and is not let down by bad sound. To date schools that have used DPA d:fine™ Headset Microphones for their concerts and drama performances include Dr. Challoner’s Grammar School, The Beacon School and Gerrards Cross Junior School.